Our Debt Settlement Software Platform is the most feature-rich, robust and widely used solution on the market today. Our Student Loan Consolidation Software streamlines the enrollment process and increases productivity! Our Credit Repair Software offers a ton of features including letter generation and custom workflows! Our Insurance Software allows brokers to track prospects and integrates seamlessly with quoting engines!. If you are looking to acquire new clients or simply manage the ones you already have, LeadsConnection’s CRM is for you! Client Acquisition and retention can be one of the most costly expenses in your business. We offer many Industry Leading Web Based Software Solutions specifically designed for the Debt Settlement, Mortgage, Tax Relief, Education and Insurance Industries. Our Software allows your representatives to organize, disposition, track and enroll all prospective clients in a single and easy to use interface! Our Software allows you to effectively manage your marketing efforts and improve your overall ROI. Extend the reaches of your physical office space and become global immediately utilizing our Web Based SaaS Platform. Import, distribute and track your leads in an easy to use interface. Organize and disposition your leads efficiently! Setup Call Back reminders and Calendar appointments with your prospects and never miss a call again! Integrate with many third party dialing providers to enable click-to-call and screenpop capabilities! Extend your sales capabilities by building out affiliate networks to sell your product or services! Upload all your contracts and let the Platform populate and generate for signing! 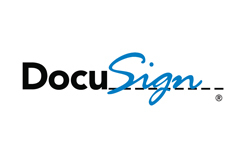 Integrated Electronic Signature of your contracts is built in with Alphatrust or Docusign! Custom Email Templates and status driven Drip Campaigns to enhance contact with your clients and maximize marketing dollars! Build custom status driven workflows to streamline your sales and back-end support processes! Built-in and custom reporting is crucial to running your business and allows you to run efficiently! Over the years Leadsconnection has expanded its portfolio of Software Solutions into many Verticals in the Financial Services Industry. In addition to superb Lead Management capabilities, our software gets very granular into the requirements of each industry regarding data capture and workflow processes. Leadsconnection offers the #1 end-to-end Debt Settlement CRM that has been the industry leader for over 10 years! Our Debt Settlement Software handles the entire life cycle of a client from acquisition through program completion. Our Student Loan Relief Crm has been built from the ground up to streamline the entire process of assisting clients who are unable to pay their high Student Loan Debt. Call 1-866-601-1745 for a free demo today! Feature rich and easy to use, our Credit Repair Software Solution has everything your company needs to operate efficiently and provide excellent service. Enrolling and managing clients has never been easier! Our Payday Loan Settlement CRM offers everything you'll need to prospect and manage your clients! Call and setup a live demo today and see how we can help you become a rock-star in your company! Our Insurance Software allows your users to prospect, quote and track clients in an easy to use interface while increasing productivity. Show your sales agents you care and setup a demo today! Our Mortgage software is perfect for companies assisting clients in need of a refinance, home equity line or new mortgage. Call today and see how we can help your company become even more efficient! Our Platform is integrated with many familiar vendors from Electronic Signature Services to Ach Banking Services. Our many integrations give your company the freedom to use the vendors of your choice!